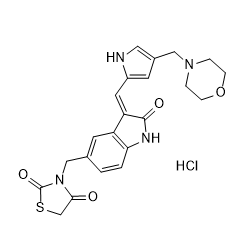 UNC569 is a novel small-molecule MER inhibitor with efficacy against acute lymphoblastic leukemia in vitro and in vivo. UNC2025 is a potent and orally bioavailable Mer/Flt3 dual inhibitor with IC50 of 0.8/0.74 nM for Mer/Flt3. 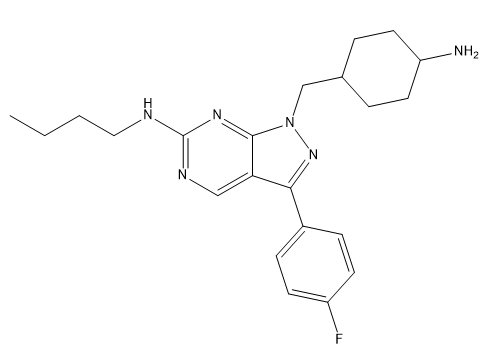 S49076 is a novel, potent inhibitor of MET, AXL/MER, and FGFR1/2/3 with IC50 values below 20 nM. UNC2881 inhibits Mer kinase activity in 697 B-ALL cells with IC50 of 22 nM, and inhibits collagen-stimulated platelet aggregation. 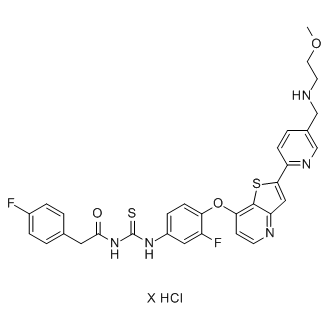 NPS-1034 is a dual inhibitor of AXL and MET with IC50s of 10.3 and 48 nM, respectively.